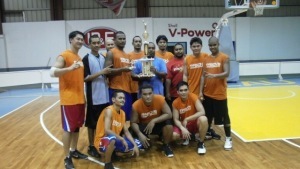 Business division champion Mason’s Hardware showed a heart of a champion as they defeated Government division champion Ministry of Finance (MOF) Omsangel, 84-72 to wrap up their best of three finals series for the Season finals of the 2011 season of the Rudimch Enterprise Government/Business League at the Palau National gym. Mason’s Hardware closed the series with a 2-0 count after winning Game One with a score of 93-76. Mason’s Hardware opened the game with a 20-13 lead and then extended it to 43-35 after a 23-22 out put to close the first half. 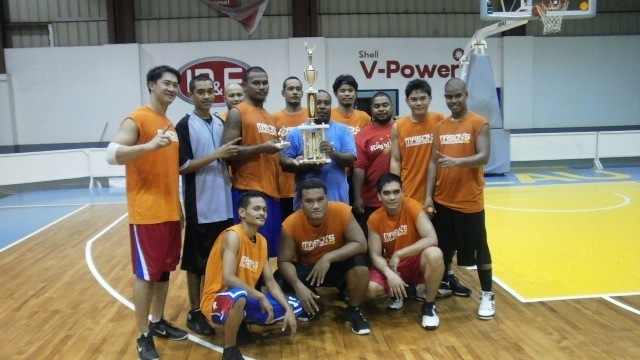 From there, Mason’s Hardware showed consistency as they went all the way to secure the win and the coveted title. Season Finals MVP Reid Una Rikrik finished the game with 16 markers while teammates Arnold Undencimo and Mesikt Benjamin played supporting casts as they chipped in 20 and 17, respectively. John Stills paced MOF Omsangel with 24 while their coach Kyonori Tellames was named coach of the year for stirring MOF Omsangel to a perfect Division finals record.